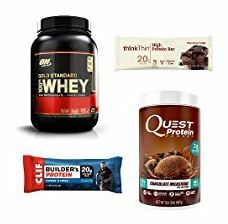 Amazon is offering 30% on Select Sports Nutrition Products $9.58 - $33.96. That makes the CLIF BUILDERS Protein Bars under $1 each. Browse your favorite Supplement, Protein Bar, Protein Powder and more!